You also continue regenerating health and energy even when you are logged out. If you want more regeneration every tick, you can purchase health/energy sigils from the Item Shop. Each sigil that you use regenerates 1 health or energy when you are out of combat (not attacking or being attacked). Multiple sigils can be used to regenerate more health/energy at a time. There are two kinds of sigils: health and energy. Health sigils regenerate your health, and energy sigils regenerate your energy. Sigils are permanent when used. Sigils also accumulate as you use them. So if you used 100 health sigils last month, and used 100 sigils this month, you would have 200 health sigils and regenerate 200 health every 5 seconds while out of combat. Purchased from the platinum item shop at the price of 10 platinum for 1 sigil, or 80 platinum for a set of 10 sigils. These sigils are consumed upon purchase, and cannot be traded between players. Event Mystery Chests: there is a chance that you may win a chest of 5 sigils from an event mystery chest. These chests may be traded between players. 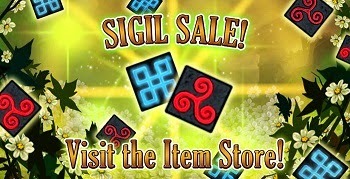 Purchase sigil chests from other players. 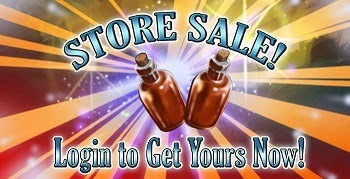 There are many elixirs and potions that can be purchased from the platinum shop that will increase your regeneration, and restore your life instantly. Potions last for 5 minutes, and can be canceled by death. Elixirs last for 15 minutes and cannot be canceled by death. 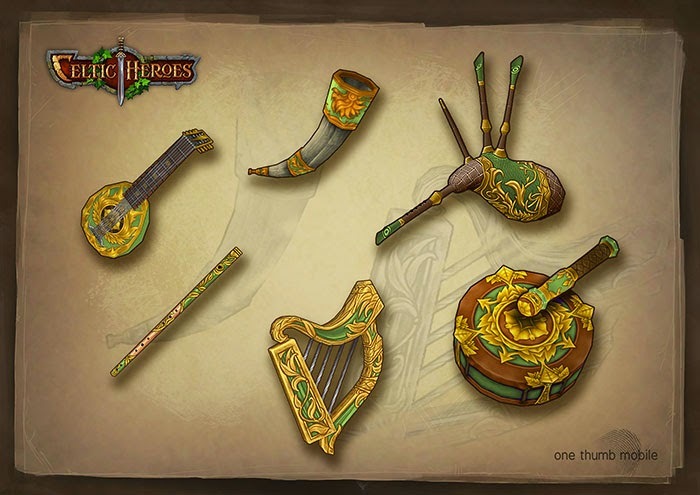 While in the Tavern, you gain the Relaxing Atmosphere status buff that rapidly regenerates your health and energy. It is active for 60 seconds, and is renewed while you stay in the tavern. Another way to regenerate health or energy is to buy gear from the in-game Luxury Shops, that have a certain amount of regen in each item. 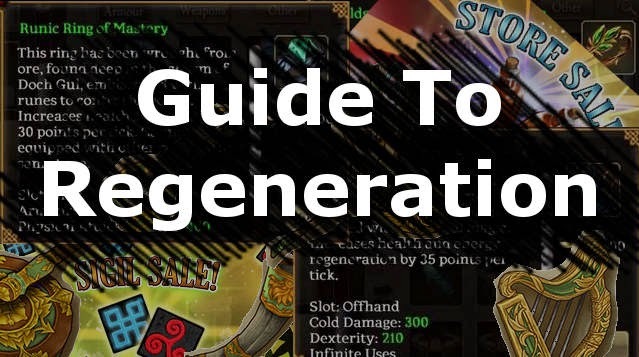 These items are invaluable at higher levels, because they regenerate even while you are in combat. Sigils, Meditate, and Recuperate will not do this. Many events have a special luxury item vendor in the castle courtyard. These items usually have regeneration for either health or energy, or both. 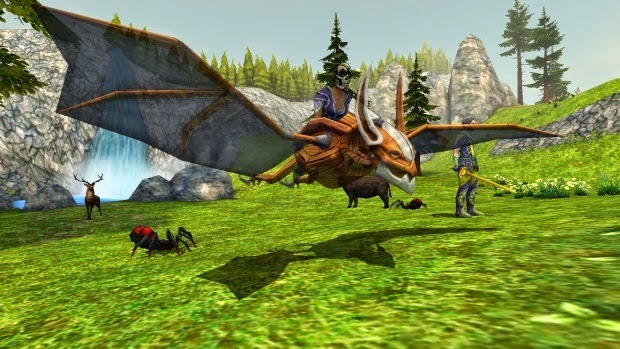 Certain mounts bought from event luxury shops will increase your in-combat health/energy regeneration. Certain instruments from current and past events will give you a skill that allows you to cast a status buff that increases out of combat health/energy regeneration. This skill can be cast on yourself or others. Each class has different skills that can help regain health or energy. There are many items that you can equip which will enhance these skills to make them more powerful. Rangers have Light Heal, which is fast but is not as powerful as Druid's skills. Roguescan steal health from opponents and replenish their own health using Life Steal. 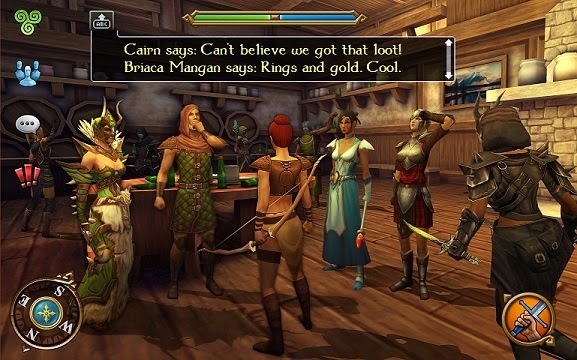 Recovering health and energy is fundamental to playing any role playing game. If health and energy could not be regained, then the player would no longer be able to use skills or the character would die.